Essential White Hat SEO Techniques to Drive Traffic to Your Site | Host.ie - Linux Hosting packages for all your Irish web hosting needs. The answer is a resounding yes. 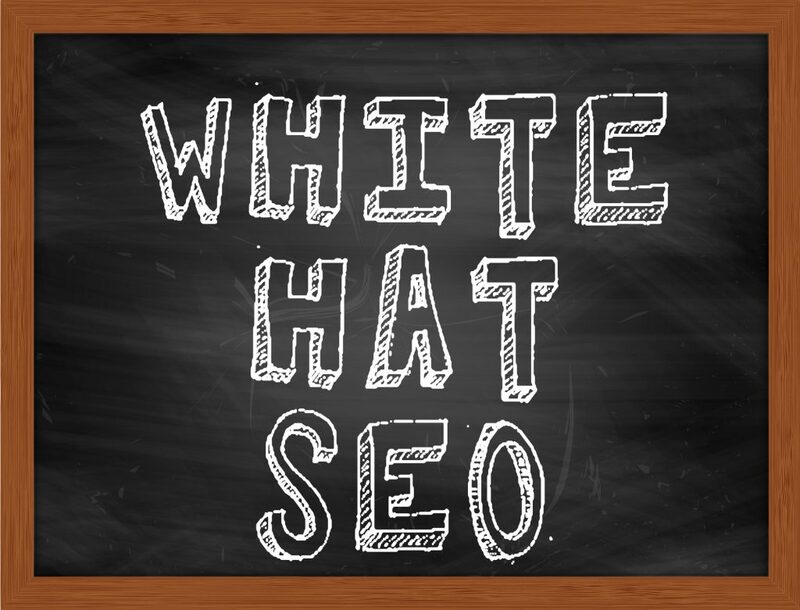 if you plan on using white hat SEO tactics proven to work in 2019. White hate simply means the tactics fall within the terms of service for Google and other search engines. Take caution not to resort to tactics that worked in the past but not right now (spammy comment links I’m talking to you). But how do you know what SEO tasks are effective today and going forward? That’s the subject of this blog post as we examine six white hat SEO techniques you need to be implementing right now. Quality content is one of the top two ranking factors in Google’s algorithm. But what defines quality content? We all like to think our content is the best out there, but how do you know for sure? Let’s turn to Google for the answer. Thankfully, the search engine provides webmasters with a helpful list of quality guidelines. Perhaps the biggest takeaway from Google’s guidelines is to create content for users, not for search engines. Yes, on-page optimization is important to let Google know what your page is about. But your content should be a natural conversation with your audience, not a keyword stuffed slab of text for Google bots. Don’t try to trick or mislead your audience or search engines. Remember, a search engine’s job is to show their users the most relevant search results, consisting of websites that deliver a quality user experience. With that in mind, concentrate on delivering your unique message to your visitors and distinguish your site from your competitors. The importance of link building is a hot subject of debate in SEO circles at the moment. Long viewed as a top two ranking factor, most experts now believe link building carries less importance with the current Google algorithms. As the theory goes, less value is now placed on links as a reaction to mass overuse of the practice in the past. But that’s not to say link building is dead. Rather it has evolved. Google prefers natural links, especially from social shares. Social shares are an indicator to search engines that your article is being talked about and is part of a larger conversation about a topic. You can already see why quality content is so important as it leads to a quality user experience and social shares. When you publish articles or videos, always include a call to action to share your content. Right now, mobile usage exceeds desktop usage of the internet. As a response, Google’s index is now “mobile-first,” meaning they show results based on a website’s mobile version before displaying sites that do not have good mobile functionality. The best way to test the mobile-friendliness of your website is to use Google’s Mobile-Friendly Test, which will tell you how your site is performing and provide helpful suggestions for improvement. Do you notice a theme in these SEO tips so far? If you guessed “user experience,” you are right. The sites that provide the most helpful and interactive experience for their users will be rewarded with more social shares, inbound links and Google love. Not surprisingly, the speed of your website is also a major ranking factor. Do your pages load quickly? If not, you will lose visitors. As a reference, pages that take longer than three seconds to load will experience a significant loss of visitors. And if you sell a product or service, your audience may never even get to your sales pages. Pingdom is a great place to test the page loading speed of your site. Strive for loading speeds of two seconds or less by following our guide for fast loading web pages. Expert roundup posts are heavily used in SEO blogs but are underused in most other niches. With an expert roundup post, you reach out to authority figures in your niche and ask them for their opinion about a particular subject. You then combine all their comments into one post. Here is an example of an expert roundup from Dental Marketing Guy. One of the biggest advantages of roundup posts is that you can quickly create a lot of content with the expert information you receive. Equally as important is that many of these authorities will share your content with their social media audience. Some may even link to your article from their website. The bottom line is your article will reach a larger audience which can result in more traffic to your website. And the positive social signals will help you rise in the rankings in Google and other search engines. Creating new content gives your audience a reason to revisit your website. Not to mention the added SEO benefit: Each new piece of content is a new entry point for people to access your site through search engines. The more entry points to your website, the more likely new visitors will reach your site. Keep in mind though we’re not talking about publishing a bunch of 300-word articles to your website (unless you have a news site). You still must adhere to the quality guidelines mentioned in the first step above and create relevant content that serves your audience. In fact, long-form content that is at least 1,500 words is recommended. These days it’s not uncommon to find content that is 6,000 words or more at the top of the search engine ranking pages (SERPs). Dwell time: Most visitors will stay on your page longer when there is more content to consume, provided it is engaging and helpful. Longer dwell times send a strong user experience (UX) signal to Google. More Shares: Long-form content of 1,000 words or more gets more shares and links than short-form content. More listings in the SERPs: If you write in a conversational tone, you will naturally include many keyword variations of the subject you are covering. That gives your content more opportunities to rank for other secondary keywords and drive more visitors to your site. White hat SEO techniques can still bring you a flood of new visitors. The key is to avoid distractions from black hat tactics designed to “game” the search engines. The search engines, and Google in particular, can’t be gamed for very long. Google updates their algorithm every day and they do a great job of weeding out sites which are relying on shady practices. Instead, align your site with Google’s best practices mentioned in the first tip above. Always strive to create an engaging user experience that serves your readers and you can find long term success without fear of algorithm shifts. And if you need any help with domain or hosting services, please contact us.